In addition to co-writing Bean Appetit, Shannon Payette Seip and Kelly Parthen are the co-founders of Bean Sprouts Kids' Cafe and Cooking School in Wisconsin. Renown for serving up delicious, healthy food that kids will actually eat, I was eager to dive in to a copy of their cookbook for recipes and tips. Geared for ages 8 and younger, Bean Appetit is indeed engaging, and I can totally see how it will help expand a child's palate and make them more adventurous when it comes to trying new foods. 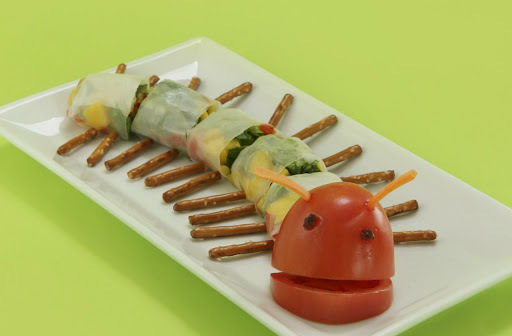 I flipped through the pages with my almost three year-old daughter and she was delighted by several of the food inspired creations, such as the "hungry caterpillar" seen above. What I like best about Bean Appetit is that it's not just a cookbook, it's more of an instruction guide in which the authors act as a parent's cheerleader in the kitchen when it comes to food prep for kids. And couldn't we all use a supportive pal when faced with the challenge of whipping up a meal that picky kids will eat without world war III breaking out? I realize the age-old adage is "don't play with your food" -- but Bean Appetit turns this theory on its head by having kids help make meals, all while singing and creating artful food masterpieces. 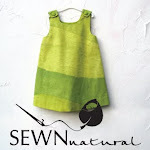 Titles to songs are actually included in each recipe, so you can belt out a relevant tune or catchy chant with your kids while dicing, blending and flipping various ingredients. 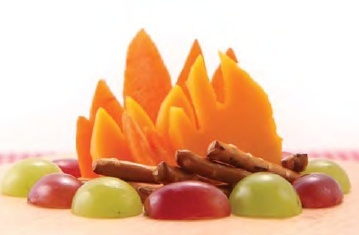 Also included throughout the pages are food-themed games and crafts, birthday party entertainment activities and "chef challenges." When kids complete each challenge, they can attach a badge found in the back of the cookbook to their diploma, which may be downloaded at www.beansproutscafe.com. As gluten-free vegetarians, we'll have to put our own spin on the recipes in Bean Appetit, but I think this will be doable. 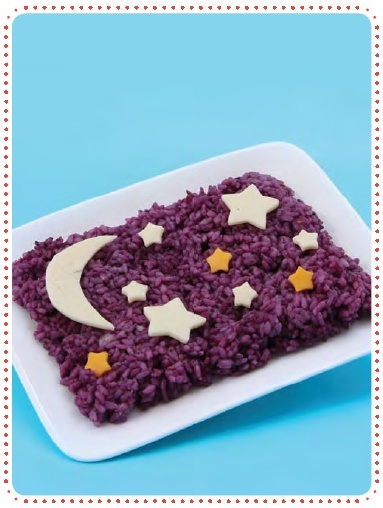 One of my favorite recipe ideas in the book is called "Starry Night Bites" in which you dye white rice with a berry puree, which turns it a purplish hue, and then you shape the rice into a rectangular canvas and add cheese cutouts of the moon and stars to the top of the rice. (reminiscent of van Gogh's Starry Night). This also "serves" as a good lesson in art appreciation! 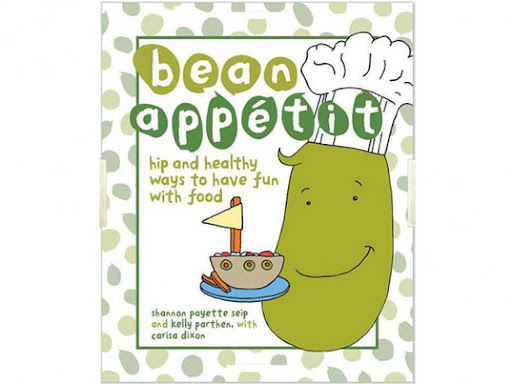 So my overall reaction to Bean Appetit is that it is refreshing and realistic -- and it helps take thoughts on food out of the kitchen into everyday life, so kids can get more familiar and comfortable trying new things via games and activities that are a far cry from sitting at the dinner table staring down a plate of food they don't want to eat. Bean Appetit is available on Amazon.com for $11.24.